We provide a convenient “one stop shop” for our customers. We know that planning an event can be overwhelming especially if you have to contact many different vendors. 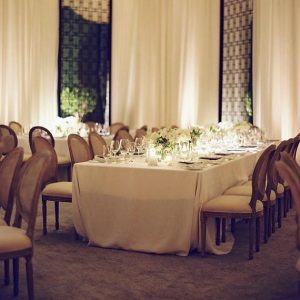 Whether you are looking for specialty linens, catering equipment, tent accessories, dance floors, place settings, or the entire package, we will provide what you need with the service you deserve. If you want to add a warm glow to your space but candles and string lights aren't enough, you will want to consider uplighting. That's an effect created by putting lighting units on the floor and pointed up. With our event rentals, you will be able to make one phone call to get what you need. We work closely with your venue, caterers, event planners, and individuals to make your event the most successful it can be. Lighting, Dance floors, tents, tables & chairs. CLICK HERE TO BROWSE INVENTORY.